Yes, it’s me. 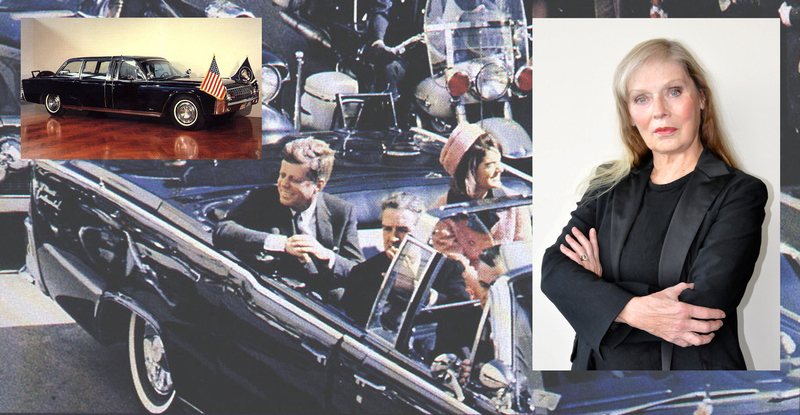 It’s a clip from my interview, done at the Henry Ford, in a discussion of the bubble-top and why it was removed on 11.22.63 prior to the fatal Dallas motorcade. The “Secret Service man” on the right is actually Nick, the man who owns the gorgeous replica limo. I had a part to play in its being used in ITTC. 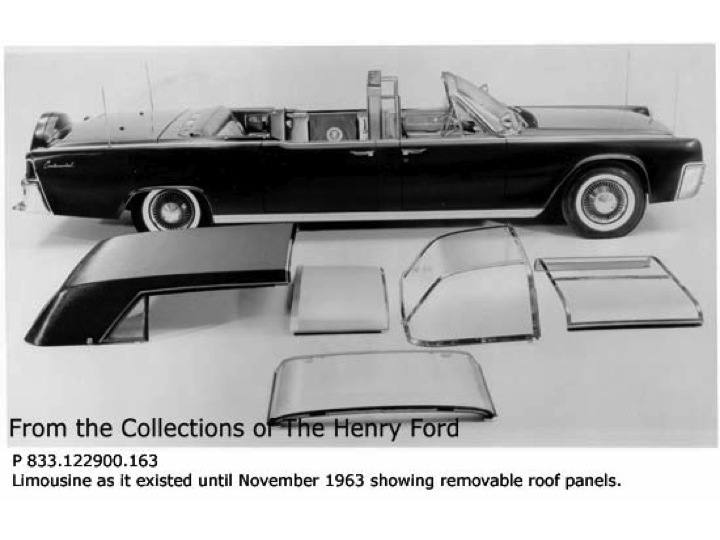 They taped my interview, then Bob Casey’s (Henry Ford historian) and the crew took the glamour sweep shots of the rebuilt limousine — all done very early in the day, before the Henry Ford was open to the public. I was speechless at my first sight of the car that had been built with the same specs as SS100X and wss in the same configuration that the limo was on 11.22.63. It was exquisite. You can see that for yourself. Close-up, it is truly breathtaking. As a result of this find, the entire program was revamped to feature this amazing replica limo. Unfortunately, Greg seems to have fallen prey to the fallacy of false alternatives. Also, imo, the ‘poisoning of the well’ was done when the ‘nameless witness’ that later was revealed to be Whitaker was forced onto the JFK research community when those doing this had ample documentation available to them that demonstrated his statements were false. No one bothered to pony up a single bit of documentation connecting him to the limo in any way. It is my thinking that this campaign has gone on unchecked in order to ‘poison the well’ against the man who wrote the memo that NARA sent to me by mistake, Vaughn Ferguson. There is documentation connecting him to the limo in the days following the assassination. He was the one who took possession of some of the bloody back seat leather. There are photos of him with the limo. My logic is this — fool me once shame on you; fool me twice, shame on me. From my standpoint on the limousine, Horne has driven himself into the pothole that the lies about Whitaker represent. That is his choice. But as long as he or anyone is maintaining a false position on a major issue in the assassination it is unrealistic not to anticipate that they will fall into potholes in other areas of their research. Speak for yourself, Greg. That was not my intent. You pointed out a fallacy by using a fallacy. That is what I pointed out. I don’t think your position has merit as a result. At least we agree that everyone should read all that is available and decide for themselves what to think. I am attempting to provide definition for anyone who chooses to ask questions about the limo issue that I think causes us to have to ask questions about Horne’s credibility on every other issue. Curious that you seem to have complimented me on ‘bumping’ Doug’s article while failing to pony up a single bit of objective documentation connecting the ‘nameless witness’ to the limo, which is the focus of my criticism. Greg also seems to be forgetting my position, which is not to tell people what to think, but to give them all the information available and ask that they think things through for themselves. 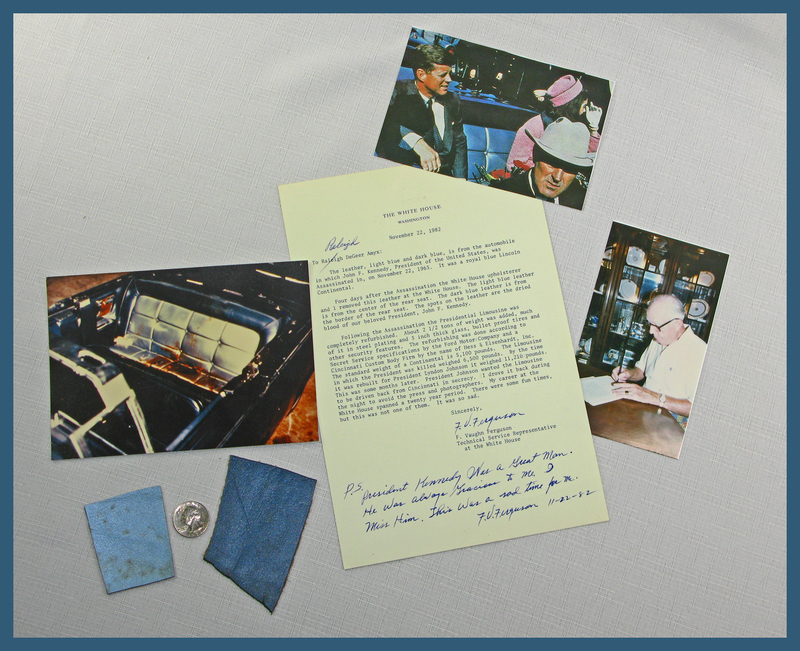 Excellent photos of the process to build the original JFK Limousine SS100X and also some from the rebuild for LBJ, from the Experimental Garage of the Ford Motor Company and Hess + Eisenhardt in Ohio where the customizing and bulletproofing were done.